HappyFox now has a way to create a list of tasks under each ticket. 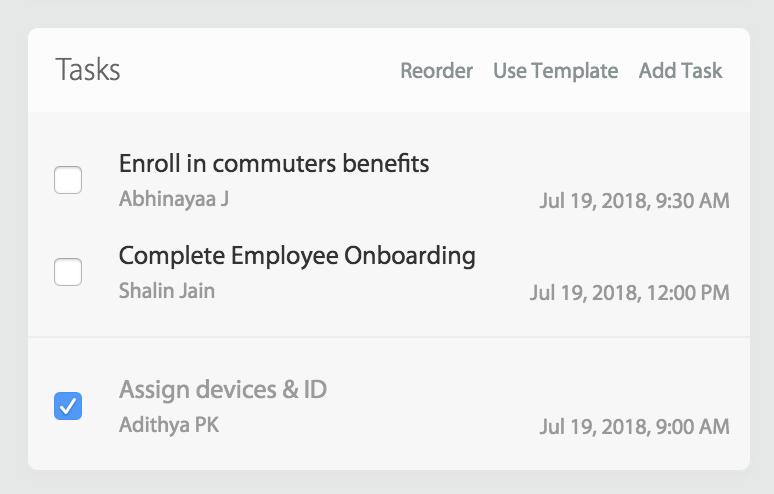 Be it on-boarding a new hire or a new service request or initiating an RMA process; create tasks and assign it to different agents who will be carrying them out. HappyFox will restrict you from closing the ticket until all the tasks are marked as completed. How to set up the feature? There's no prior setup required. HappyFox allows all agents who have 'add reply via agent panel' permission to create and edit tasks. 1. 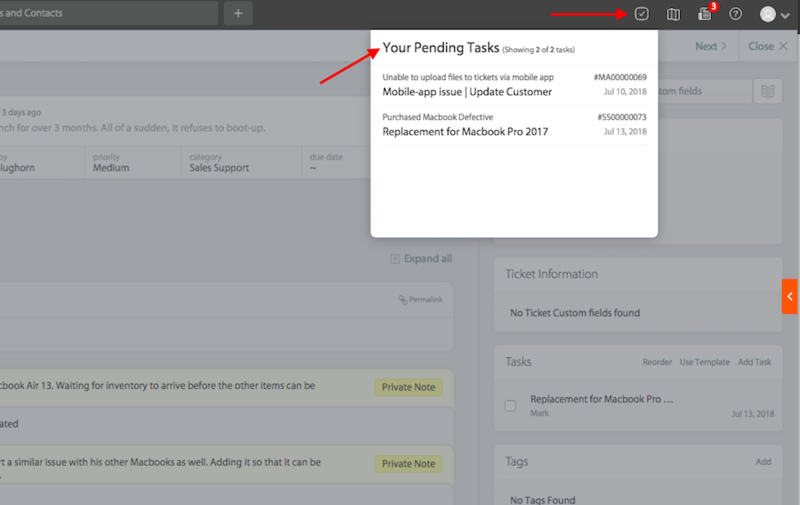 To add tasks, go to the ticket details page, and click on 'Add' on the sidebar. 2. 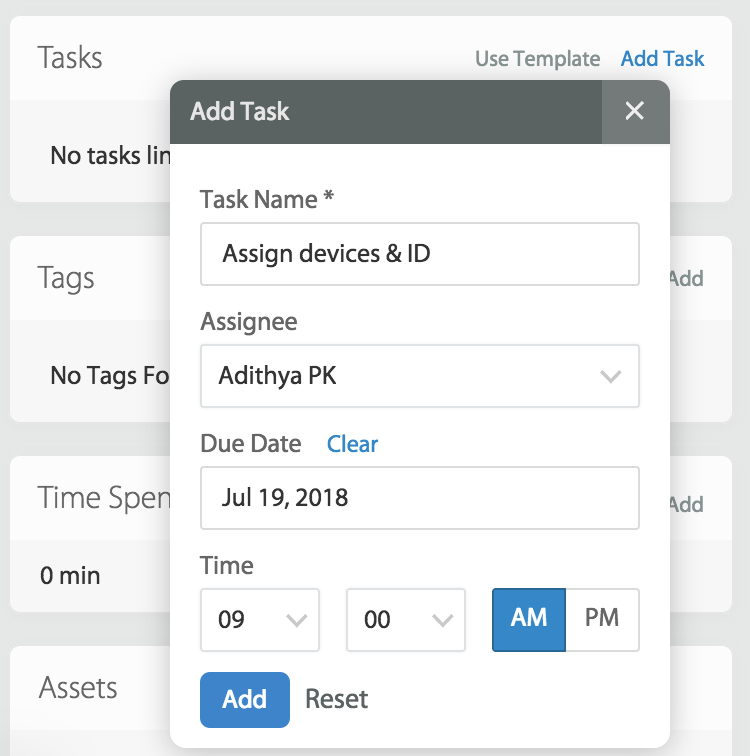 Provide Task Name (Mandatory), Task Assignee and Task Due date & time to create the task. Note: The assignee dropdown only lists the agents who have access to this ticket. 1. Click on the pencil icon next to each of the tasks to edit the details about the task. 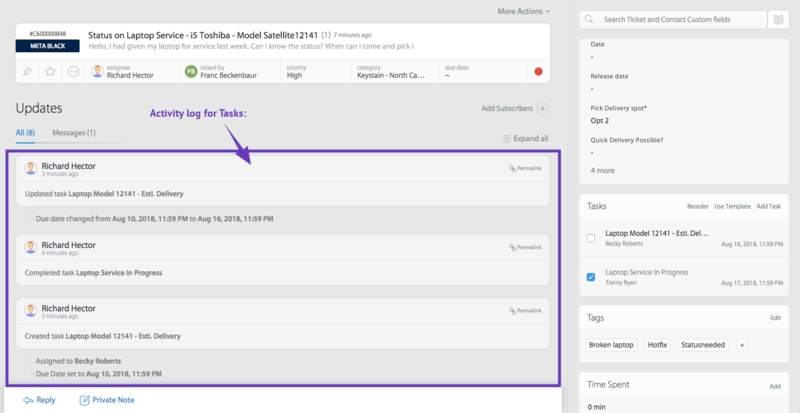 Click on the checkboxes next to each task to mark tickets as completed. Completed tasks are removed from the pending queue and listed separately. 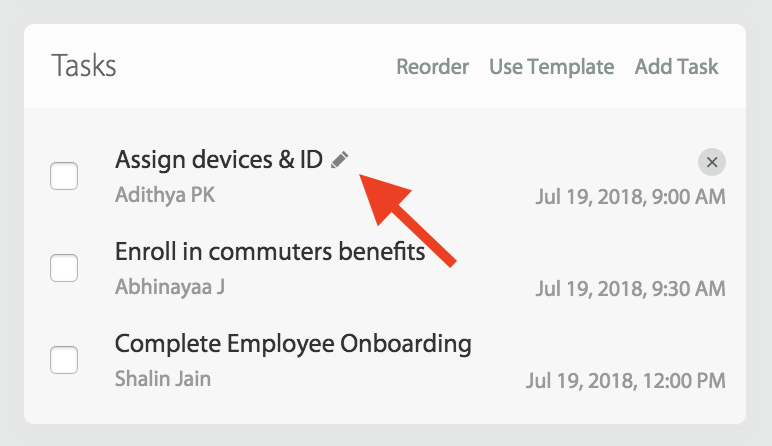 Click on 'Edit All' on the right top, and click to drag and reorder tasks. Click on the 'cross' icon to delete tasks. Please note that the tasks will be deleted permanently. When someone assigns a task to you, you receive an email notification about the assignment. The notification is not sent out when someone assigns a task to themselves. For tasks that have assignee set, the due notification is sent to the corresponding agents. If the due date is 24th of July, then the notification is sent on 24th of July at 00:00 hours (as per the staff's timezone). 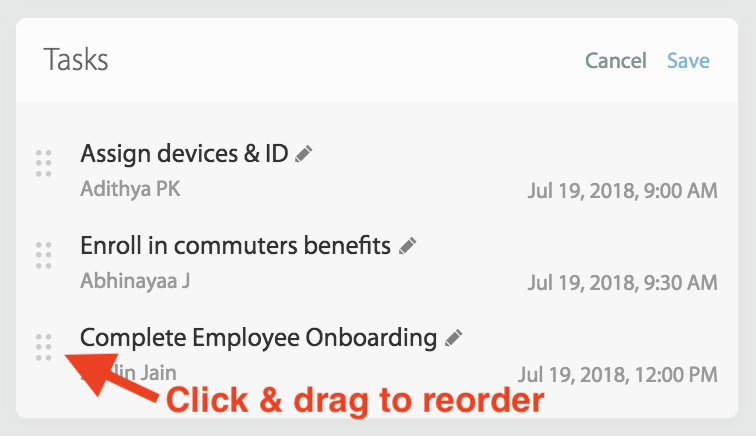 For tasks with no assignee, the due notification is sent to all subscribers of the ticket. If the due date is 24th of July, then the notification is sent to all subscribers on 24th of July at 00:00 (as per the organization's time). A comprehensive log of all your task related activity is displayed in the corresponding ticket details page. Task Modification (Name change, Agent Assignment, Due date change).